Developed and launched an internationally-recognized online hockey magazine with a monthly readership that peaked at over 100,000 readers and an email newsletter subscriber base that peaked at over 25,000 members. Established partnerships and/or business relationships with numerous high-profile companies, including the NHL, HDNet, Fox Sports, XM/Sirius, Universal Music, Sony, STATS Inc., the New York Sun, the Wall Street Journal, and Getty Images. 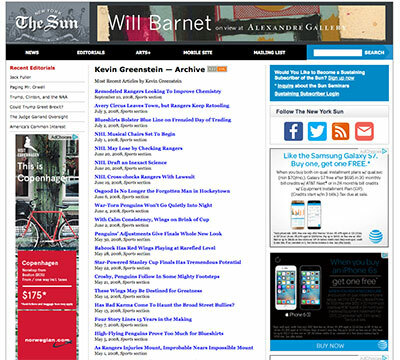 Built site architecture using Drupal’s CMS (content management system) in 2006, then migrated the site to the WordPress platform in 2010. Assembled and managed a team of over 100 writers, photographers, and editors across the US and Canada. Many former Inside Hockey team-members have gone on to play key roles with NHL teams (Detroit Red Wings & Anaheim Ducks) and major media outlets (Toronto Globe & Mail, ESPN, YES Network). Co-hosted the Inside Hockey Radio Show with James Murphy and former NHL star Kevin Stevens on SM/Sirius, The Team 990 (Montreal) and Sporting News Radio (Boston). Designed a CAN/SPAM-compliant email marketing product for clients, focusing on delivering clean, brand-consistent content to their email newsletter subscribers. 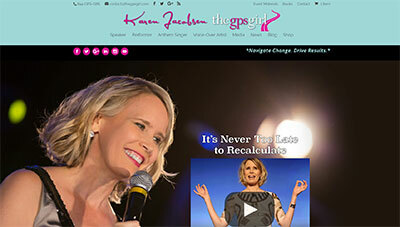 Developed (and helped to implement) strategies to help clients to increase their subscriber base. Managed the business relationships with a client base consisting of over 75 musicians, many of whom have leveraged the service for over 10 years. Implemented strategic partnerships with technology providers and complementary service providers to help deliver best-in-class email marketing solutions for clients. Designed websites and micro-sites for numerous clients, helping to ensure that their branding was consistent across all digital media platforms. 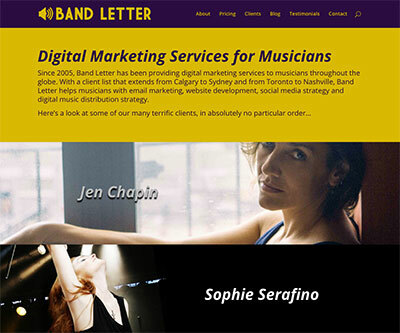 Developed and launched a boutique marketing service firm for musicians, focusing on direct-to-fan communications (email, social media) designed to increase music and ticket sales. Developed a web presence for P-Solve’s US business, implementing a responsive design to deliver a strong user experience across all platforms. 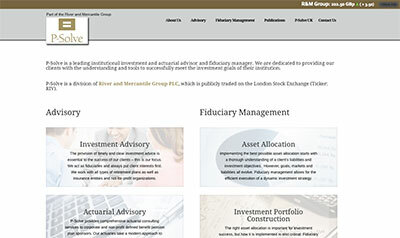 Developed a content strategy for P-Solve to help raise its profile as a “thought leader” in institutional investment and actuarial advisement and fiduciary management, leveraging its website, email newsletter and social media presences. Designed and implemented a design-forward email newsletter for P-Solve, helping them to achieve a higher level of engagement with existing and prospective clients. Developed course materials to teach basic and advanced strategies for leveraging web marketing (i.e. AdWords, web advertising, etc.) and social media (Facebook, Twitter, LinkedIn, Instagram, etc.) to increase the efficiency and effectiveness of advertising/marketing efforts. Developed course materials to teach basic and advanced strategies for effectively leveraging SEO (search engine optimization) and web analytics (i.e. Google Analytics) to substantially improve sales/marketing performance. Developed the syllabus for an extensive course in Web Analytics, Web Marketing and Social Media for the Fullbridge Company, including content outlines, video scripts, reading assignments and interactive learning checks. Developed a digital marketing strategy to increase brand awareness and sales, leveraging the Airocide website and multiple social media platforms. Fully implemented an e-commerce platform for Airocide’s DS (Medical/Dental) product – including merchant bank integration – in under two weeks. 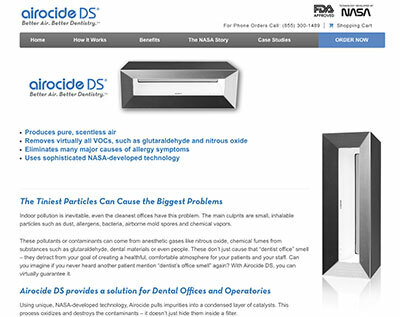 Developed an SEO (search engine optimization) strategy for Airocide, including the implementation of a blog that drew direct connections between the Airocide air purifier and the respiratory ailments/concerns it solves for (allergies, smog and pollution, off-gassing, etc. ), achieving first-page results for numerous relevant searches. Led beta testing and testing analysis for Capture, a mobile photo-sharing app, helping to refine the product in preparation for its launch. Worked with the development team to analyze the results of user testing and identify (and implement) needed improvements to Capture’s mobile app’s UX (user experience) design. Implemented a public test of Capture’s mobile app in the “food” category, incorporating some of the finest Tri-State Area-based food blogs (Leite’s Culinaria, Good Food Stories, Bluebonnet Baker, The Diva That Ate New York, Forking Tasty, Boozy Bakeshop, etc.). 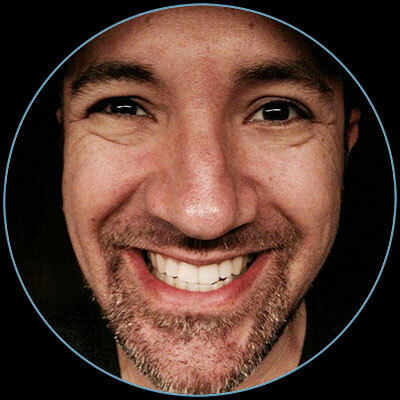 Served as an adjunct professor at Suffolk University for eight years, teaching three different courses in the areas of new media, social media and graphic design. Took an active role in ensuring that students completed and absorbed all course material, and continued to be a valued resource after the courses were completed, helping the students to effectively leverage their learnings in their career pursuits. Courses at Suffolk were consistently filled to capacity, with waitlists often equal or greater than the class size. Won a student-nominated teaching award, and have maintained contact with hundreds of former students. 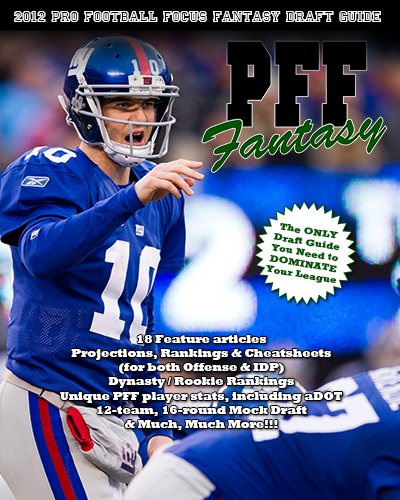 Assisted with the development and launch of the Pro Football Focus (PFF) Fantasy brand, working with Mike Clay to develop a strategy to leverage PFF’s extensive data and analysis to deliver top-tier fantasy football content. 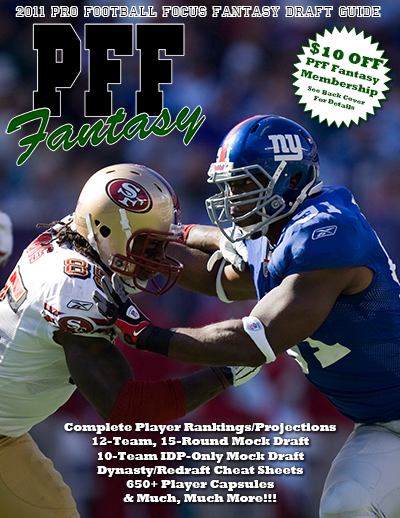 Helped lead the development of the PFF Fantasy brand, including designing the PFF Fantasy magazine that was distributed across North America in 2011, 2012 and 2013. 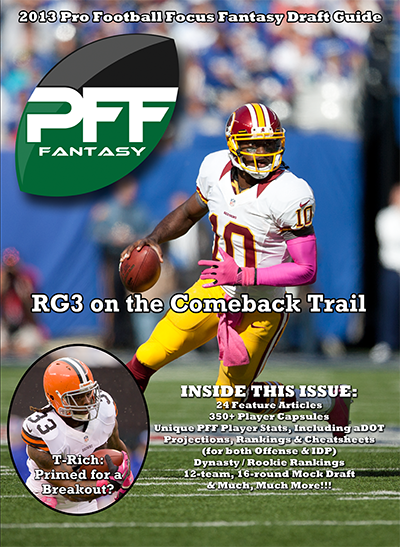 Worked closely with the editorial team to develop a content strategy that provided fantasy football fans with the most accurate and comprehensive analysis available, including extensive support for IDP and dynasty leagues. Wrote bi-weekly columns on the New York Rangers, Islanders, and Devils, incorporating interviews, analysis and news reporting, and developed a weekly Power Rankings feature that generated substantial reader feedback. Consistently completed 800-1,200 word columns within 30 minutes of the conclusion of that night’s game, delivering accurate, publication-ready copy on extremely tight deadlines. Identified storylines to follow for all three NYC-area teams (Rangers, Devils, Islanders), implementing interviews and in-depth analysis to deliver best-in-class hockey coverage. 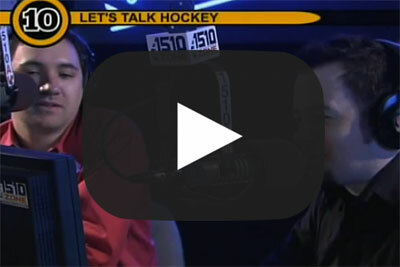 Developed unique hockey-related content to entertain fans during the 2004-2005 NHL lockout. Managed an organization of 50+ in NY, Paris, Lyon and Minneapolis, ensuring that team-members communicated effectively and positively despite substantially language and geographical challenges. 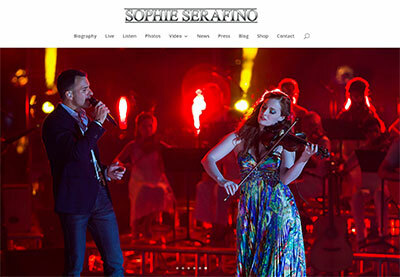 Implemented and managed partnerships with EMI, BMI, Yahoo! and Coda Music, the latter of which led to a merger (Coda Music + Net4Music = MakeMusic). 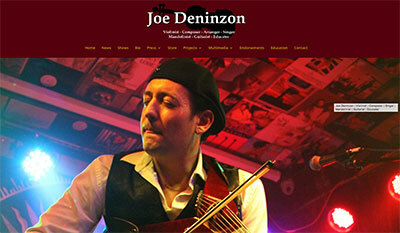 Member of transition team for Net4Music/Coda Music merger. Developed and managed online marketing plan ($2 million annual budget), including the implementation of a performance-based $1 million deal to become the official sheet music partner/provider for Yahoo! Music. Managed member acquisition efforts for GeoCities, increasing registration from 2-3.5 million users in advance of GeoCities’ purchase by Yahoo!. Managed agency relationship with Wunderman Cato Johnson (WCJ), leveraging strong relationships cultivated previously while at Citibank. Member of transition team for Yahoo!/GeoCities merger, helping to identify strategies for incorporating GeoCities’ website-building products into Yahoo!’s core business. Designed, developed, and launched Citigroup’s first online credit card application, including the implementation of tracking and fulfillment technology that seamlessly integrated with existing offline marketing efforts. Directed the redesign of the Citigroup US Bankcards website, and managed the development and implementation of micro-sites for the Sony and Jack Nicklaus co-branded card offerings. Managed relationships with three interactive/creative agencies ($3 million annual budget): Wunderman Cato Johnson (WCJ), Modem Media and Luminant Worldwide. Implemented an Account Management System to streamline communications between clients and agency, establishing new protocols at a time when digital media was in its nascent stage. Coordinated web content for the debut websites for AT&T, A&E TV, M&M/Mars and Purdue Pharmaceuticals. The Skittles (M&M/Mars) website leveraged their NASCAR-sponsored car/driver relationship into engaging content marketing. Developed online media campaigns, including creative and advertising placement, to help clients increase the reach and performance of their web-based marketing initiatives. Recruited and supported a national client roster including Citicorp, Forbes, Time Inc, Wenner Media, NordicTrack, and Ziff-Davis. Recruited and supported 110+ local clients in Ann Arbor, MI and 75+ local clients in the Hamptons resort area (NY). Designed a product test in Ann Arbor, MI, getting 110 local businesses to publish online coupons in the fall of 1996. The test was a great success, with a retention rate well over 85%. Worked closely with editorial/design to ensure that the e-Coupons online product/service was properly presented and positioned to achieve clients’ unique marketing objectives.